Aasimars look mostly human except for some minor physical trait that reveals their unusual heritage. Typical aasimar features include hair that shines like metal, jewel-toned eyes, lustrous skin color, or even glowing, golden halos. Aasimars cannot truly be said to have an independent society of their own. As an offshoot of humanity, they adopt the societal norms around them, though most find themselves drawn to those elements of society that work for the redress of injustice and the assuagement of suffering. This sometimes puts them on the wrong side of the law in more tyrannical societies, but aasimars can be careful and cunning when necessary, able to put on a dissembling guise to divert the attention of oppressors elsewhere. While corrupt aasimars may be loners or may establish secret societies to conceal their involvement in crime, righteous aasimars are often found congregating in numbers as part of good-aligned organizations, especially (though not always) churches and religious orders. Aasimars are most common and most comfortable in human communities. This is especially true of those whose lineage is more distant and who bear only faint marks of their heavenly ancestry. It is unclear why the touch of the celestial is felt so much more strongly in humanity than other races, though it may be that humanity's inherent adaptability and affinity for change is responsible for the evolution of aasimars as a distinct race. Perhaps the endemic racial traits of other races are too deeply bred, too strongly present, and too resistant to change. Whatever dalliances other races may have had with the denizens of the upper planes, the progeny of such couplings are vanishingly rare and have never bred true. However, even if they generally tend toward human societies, aasimars can become comfortable in virtually any environment. They have an easy social grace and are disarmingly personable. They get on well with half-elves, who share a similar not-quite-human marginal status, though their relations are often less cordial with half-orcs, who have no patience for aasimars' overly pretty words and faces. Elven courtiers sometimes dismiss aasimars as unsophisticated, and criticize them for relying on natural charm to overcome faux pas. Perhaps of all the known races, gnomes find aasimars most fascinating, and have an intense appreciation for their varied appearances as well as the mystique surrounding their celestial heritage. Aasimars are most often of good alignment, though this isn't necessarily universal, and aasimars that have turned their back on righteousness may fall into an unfathomable abyss of depravity. For the most part, however, aasimars favor deities of honor, valor, protection, healing, and refuge, or simple and prosaic faiths of home, community, and family. Some also follow the paths of art, music, and lore, finding truth and wisdom in beauty and learning. Aasimars frequently become adventurers, as they often do not quite feel at home in human society and feel the pull of some greater destiny. Clerics, oracles, and paladins are most plentiful in their ranks, though bards, sorcerers, and summoners are not uncommon among those with a fondness for arcane magic. Aasimar barbarians are rare, but when born into such tribes they often rise to leadership and encourage their clans to embrace celestial totems. +2 Wisdom, +2 Charisma: Aasimars are insightful, confident, and personable. Languages: Aasimars begin play speaking Common and Celestial. Aasimars with high Intelligence scores can choose from the following languages: Draconic, Dwarven, Elven, Gnome, Halfling, and Sylvan. Celestial Crusader: Some aasimars follow their destiny to war against the powers of ultimate evil. These individuals gain a +1 insight bonus on attack rolls and to AC against evil outsiders and a +2 racial bonus on Knowledge (planes) and Spellcraft checks to identify evil outsiders or items or effects created by evil outsiders; they may use these skills untrained for this purpose. This racial trait replaces celestial resistance and skilled. Deathless Spirit: Particularly strong-willed aasimars possess celestial spirits capable of resisting the powers of death. They gain resistance 5 against negative energy damage. They do not lose hit points when they gain a negative level, and they gain a +2 racial bonus on saving throws against death effects, energy drain, negative energy, and spells or spell-like abilities of the necromancy school. This racial trait replaces celestial resistance. 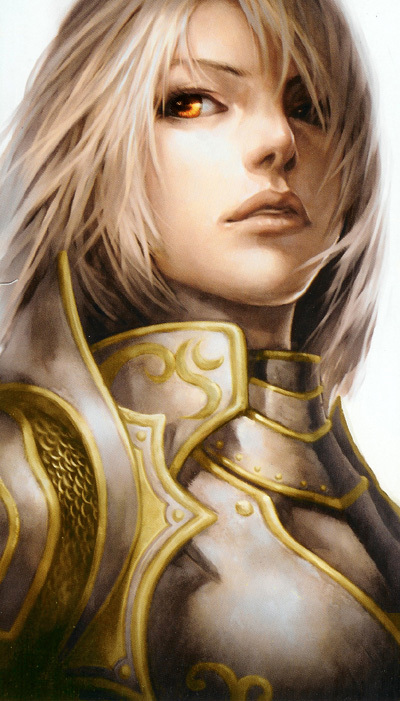 Exalted Resistance: An aasimar with this racial trait gains spell resistance (SR) equal to 5 + her level against spells and spell-like abilities with the evil descriptor, as well as any spells and spell-like abilities cast by evil outsiders. This racial trait replaces celestial resistance. Halo: Some aasimars possess the ability to manifest halos. An aasimar with this racial trait can create light centered on her head at will as a spell-like ability. When using her halo, she gains a +2 circumstance bonus on Intimidate checks against evil creatures and on saving throws against becoming blinded or dazzled. This racial trait replaces the darkvision standard racial trait. Heavenborn: Born in the celestial realms, aasimars with this racial trait gain a +2 bonus on Knowledge (planes) checks and they cast spells with the good or light descriptor at +1 caster level. This racial trait replaces the skilled and spell-like ability racial traits. Immortal Spark: Aasimars with this racial trait defy the powers of death. They gain a +2 bonus on Knowledge (history) checks and saving throws against death effects and can use lesser age resistance once per day as a spell-like ability. This racial trait replaces the skilled and spell-like ability racial traits. Incorruptible: Occasionally, aasimars arise with the ability to further ward away evil. Aasimars with this racial trait can cast corruption resistance against evil once per day as a spell-like ability. If an aasimar uses this ability on herself, the duration increases to 1 hour per level. This racial trait replaces the spell-like ability racial trait. Scion of Humanity: Some aasimars' heavenly ancestry is extremely distant. An aasimar with this racial trait counts as an outsider (native) and a humanoid (human) for any effect related to race, including feat prerequisites and spells that affect humanoids. She can pass for human without using the Disguise skill. This racial trait replaces the Celestial language and alters the native subtype. Truespeaker: There are some aasimars whose language transcends all boundaries. They gain a +2 bonus on Linguistics and Sense Motive checks, and they learn two languages each time they gain a rank in Linguistics. This racial trait replaces skilled. Bard: Choose one bardic performance; treat the bard as +1/2 level higher when determining the effects of that performance. Cavalier: Add +1/4 to the cavalier's bonus on damage against targets of his challenge. Cleric: Add +1/2 to damage when using positive energy against undead or using Alignment Channel to damage evil outsiders. Inquisitor: Add +1/2 on Intimidate, Knowledge, and Sense Motive checks made against outsiders. Paladin: Add +1/6 to the morale bonus on saving throws provided by the paladin's auras. Sorcerer: Add +1/4 to the sorcerer's caster level when casting spells with the good descriptor. Summoner: Add DR 1/evil to the summoner's eidolon. Each additional time the summoner selects this benefit, the DR/evil increases by +1/2 (maximum DR 10/evil).